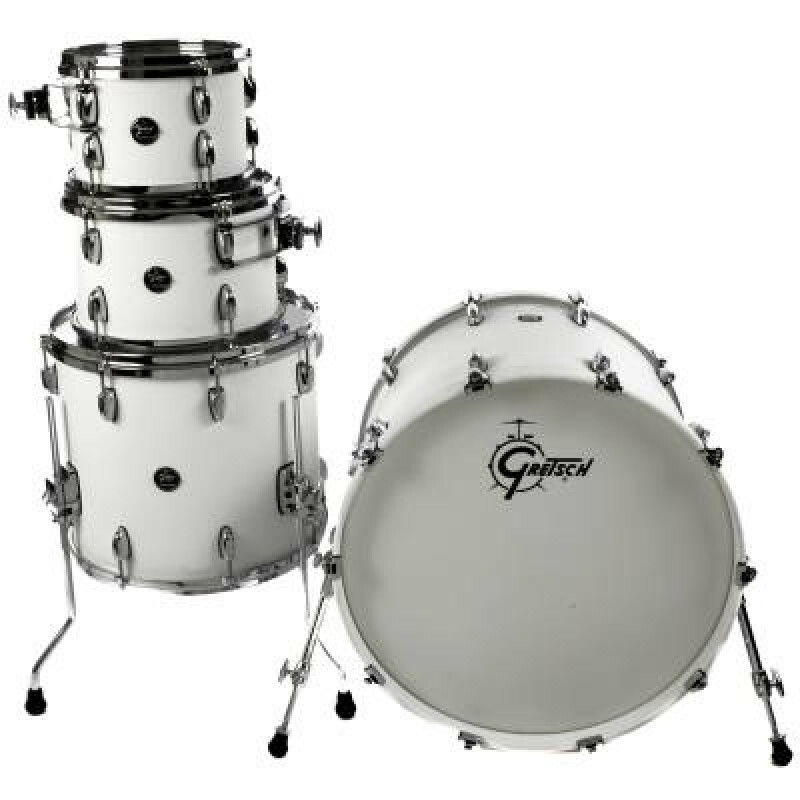 RN1-E8246-SW - 4PC 22/10/12/16 - SATIN WHITEGretsch Renown Maple.Introducing Renown Maple 2013.Modelled on our flagship USA Custom range, Renown offers a look, a sound and a feel that is distinctly Gretsch.The drums retain the 6ply North American Maple shells. They have been upgraded with the brand new G1 integrated tom suspension mount, G1 TR wingnuts and Remo USA heads. To compliment Gretsch USA and New Classic lines, the shell exterior features a 2013 Renown round badge.Four colours and four configurations are available from the end of May, with four additional colours and a one more shell pack expected late July.